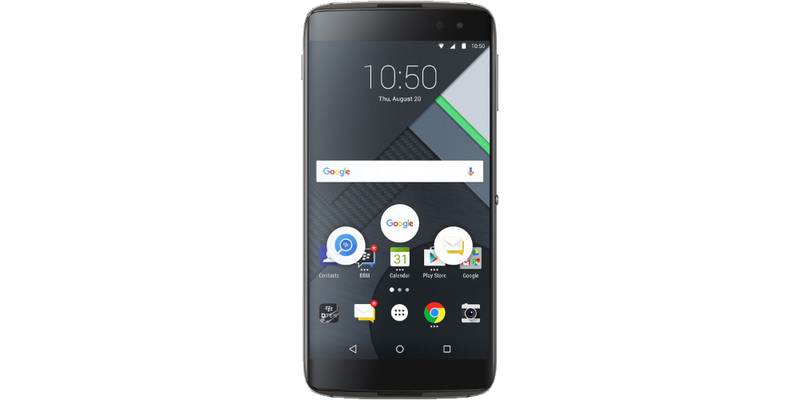 As it anticipated in recent weeks by the incessant rumors and images leaked, and after the official launch of BlackBerry DTEK50, just announced the new BlackBerry DTEK60, an Android smartphone uninteresting from an aesthetic point of view, but with good technical specifications (which essentially is a rebranding of the Alcatel Idol 4S, although a number of different implementations in terms of hardware and security concerns). The device has the presence of a 5.5-inch AMOLED display with QHD resolution of 2560 x 1440 pixels, a quad-core Snapdragon 820 processor (the main difference from the Alcatel device) running at a clock frequency of 2.2 GHz, 4 GB of RAM LPDDR4, 32 GB of internal storage expandable via micro SD (possibly up to 2 TB) and Android 6.0.1 Marshmallow operating system with support for the new Android 7.0 Nougat almost assured. In the photographic section, we find a rear camera of 21 megapixels, equipped with f/2.0 aperture, autofocus (PDAF), LED flash and video recording at 4K, a front camera with an 8 megapixel sensor, f/2,2 aperture and wide angle of 84 degrees. Connectivity, on the other hand, has the module support WiFi 802.11 a/b/g/n/ac, Bluetooth 4.2, GPS, NFC and LTE Advanced, has FM radio receiver, fingerprint scanner and finally, USB Type-C port. As for the battery life, the BlackBerry DTEK60 is equipped with 3000 mAh battery and charging technology Quick Charge 3.0. As for security, a key point in the Canadian company, the DTEK60 offers the following solutions: hardware certified with Root of Trust, Secure Bootloader and FIPS 140-2 encryption. The price of BlackBerry DTEK60 will be € 579, a price that contrasts with high-end Android devices of other important manufacturers. The DETK60 will be part of the history of the Canadian company, since, as we told several weeks ago, has stopped production of cell phones to focus on software.